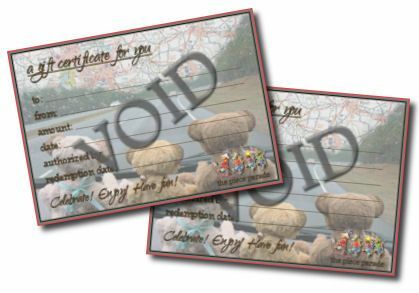 Gift certificates are available in any amount of your choosing. It will arrive in your mailbox or the mailbox of the recipient neatly gift wrapped. American Express, Discover or personal checks. Please email me to get your personalized gift certificate and invoice.